Complementary and alternative medicine (CAM) is a traditional treatment existing over time especially external health care institutions (Ernst, 1998). For a few decades, consumption of CAM becomes increasingly popular including in our country, Malaysia (Featherstone, Godden, Selvaraj, Emslie & Took-Zozaya, 2003; Barnes, Bloom & Nahin, 2008; Siti et al, 2009) in the range of 4 – 79% among adults (Slader, Reddel, Jenkins, Armour & Bosnic-Anticevich, 2006). In developed countries such as the United States and the United Kingdom are no exception of 42% and 59% of CAM consumers, respectively (Blanc, Trupin, Earnest, Katz, Yelin & Eisher, 2001; Ernst, 1998). Within the Asian regions such as Singapore, CAM consumers counting only as much as 27.2% (Ng, Wong, Hong, Koh & Goh, 2003). In Malaysia, there is an increasing amount of 41.0% in 2006 (Mokhtar & Chan, 2006) to 61.1% of CAM consumers in 2009 (Alshagga, Al-Dubai, Muhamad Faiq & Yusuf, 2011). In our country, CAM more commonly known as traditional and complementary medicine or Traditional and Complementary Medicine (TCM). According to Traditional and Complementary Medicine Bill (2012), definition of “practice of traditional and complementary medicine” is a form of health-related practice designed to prevent, treat or manage ailment or illness or preserve the mental and physical well-being of an individual and includes such practices as traditional Malay medicine, traditional Chinese medicine, traditional Indian medicine, homeopathy, and complementary therapies, but excludes medical and dental practices used by a medical and dental practitioner respectively. The Malaysian population consists of various ethnic who are Malays and indigenous (58%), Chinese (24%), Indians (8%) and other races (10%) (Encyclopedia of the Nations,2012). Thus, study that involved asthmatic patients in Ipoh discovered 60% of Malays patients became TCM consumers followed by Chinese (27%) and India (24%) in 2006 (Mokhtar & Chan, 2006). It is corroborated by a study conducted in 2009 in the capital of Malaysia; Kuala Lumpur which found 66.7% of users of TCM is the Malays. However, this study found the Indians to be higher TCM users 55.0% compared with the Chinese only 16.7% (Alshagga et al., 2011). Gender factor also plays an important role where the female has been attributed to the use of TCM, including the United Kingdom, Germany and Malaysia (Ernst, 1998; Schäfer, 2004; Alshagga et al., 2011). Traditional herbal, oil rub, homeopathy, massage, honey, coffee and breathing techniques are examples of traditional treatments that are commonly used by patients with asthma (Austin, 1998). Mokhtar and Chan (2006) study in Ipoh discover 39% of asthma patients take supplements, 11% using massages and oil rub, 6% practicing yoga, 6% taking homeopathy and 2% subscribed the reflexology services. Supplements and herbs including pegaga (Centella Asiatica), ginseng, Indian and Chinese herbal therapies, garlic, fish oil and honey (Mokhtar & Chan, 2006). Survey in Kuala Lumpur in 2009 found that 39% of asthma patients used rubbing while 16.9% took food, 16.9% use herbs and the remainder, including aromatherapy, breathing techniques, and manipulation homeopat hy (Alshagga et al., 2011). Malay massage has been introduced in three government facilities namely Hospital Kepala Batas, Penang, Hospital Putrajaya and Hospital Sultan Ismail, Johor (Traditional and complementary medicine practice guideline on malay massage, 2009). Examples of traditional Chinese herbal medicine that has been through the study are ginkgo biloba, Antiasthma Herbal Medicine Intervention (ASHMI), modified Mai Men Dong Tang (mMMDT), Ding Chuan Tang, STA-1, Sophora Flavescens Ait, Ligusticum wallichii, Strengthening Body Resistance (SBR) method, Reinforcing Kidney and Invigorating Spleen Principle (RKISP), Invigorating Kidney for Preventing Asthma (IKPA) tablets and Wenyang Tonglulo mixture (WTM) (Huntley & Ernst, 2000; Xiu-Min, 2007). Traditional Indian herbal medicine for the treatment of Ayurveda is like Picrorrhiza kurroa, Solanum xanthocarpum/trilobatum, Boswellia serrate and Tylophora indica (Huntley & Ernst, 2000). Chronic patients including asthma are more likely to use traditional treatment (Vincent & Furnham, 1996). TCM is used as a substitute or additional medicine to conventional medicine known as a modern medicine (Ernst, 1998). In Malaysia, among 64% to 81% of asthma patients take TCM together with conventional medicine (Mokhtar & Chan, 2006; Alshagga et al., 2011). Among the reasons why patients use TCM include their disease are more controlled, feels more vibrant with their actions, concern about the side-effects of modern drugs or had frustrating experiences with doctors (Austin, 1998). Based on the study of the population of Malaysia, the reason given also including for transquility (Mokhtar & Chan, 2006), just want to try, as an additional treatment, cheaper cost compared to conventional drugs, as an emergency treatment (Alshagga et al., 2011), to avoid side -effects of drugs or steroids, to relieve the symptoms of asthma and conventional therapy does not help or failed to cure their disease (Mokhtar & Chan, 2006; Alshagga et al., 2011). For the Malay community, the traditional treatment help to relieve their asthma such as drinking honey mixed with egg, homeopathy, massage and pegaga (Mokhtar & Chan, 2006) Honey is believed to be nourishing as it can enhance the body resistance to dust, pollen or mold including the homeopathic medicine (Steurer-Stey, Russi & Steurer, 2002). For the Chinese, the “cold” disease like asthma requires “hot” food such as meat of wild animal or some consumers take fish oil (Mokhtar & Chan, 2006). Yoga is a breathing technique practiced by the Indians. According to Nagarathna and Nagendra (1985), it is intended to cure asthma by controlling the symptoms of asthma and for relaxation. This was exemplified by studies in which the stimulated by the stimulation factors or asthma attack frequency being reduced (Nagarathna & Nagendra, 1985). 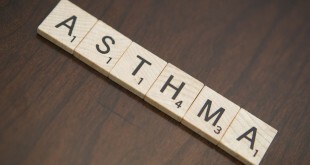 Amongst the TCM consumers (72.2%), 81% felt a subjective improvement of asthma control. Average s core for the level of confidence in the effectiveness of TCM to improve asthma and other health problems is 5:53 from 10.00 (Mokhtar & Chan, 2006). However, it is hard to ascertain or measure the effectiveness of treatment as it is probably influenced by the psychological factor (Nagarathna & Nagendra, 1985). 1. Get information about a product or service before using it. Please visit www.bpfk.gov.my to review products that are registered with the authorities. This is to ensure that the product is safe and effective. In Malaysia, the use of TCM is easily recognizable through family members and relatives (31% – 46.6%), recommended by friends (34.5% – 42%), their own initiative (19%), media (8% – 10.3%) and suggested by the traditional practitioners (8.6%) (Mokhtar & Chan, 2006; Alshagga et al., 2011). 2. Read the label first before taking medicine to understand the directions for use and side -effects. It should be noted that every product or service can cause detrimental effects of its own. This is because many studies found that patients did not inform the doctor about the mixture of TCM and conventional medicine (Robinson & McGrail, 2004). For example, a study in Malaysia found 62.1% to 81.0% of asthma patients did not tell their doctors (Mokhtar & Chan, 2006; Alshagga et al., 2011). Among the reasons why this accured are the doctor never asked, they did not know they should, feel the doctors do not know about the topic, the doctor will set aside and did not have enough time to consult a doctor during visit (Alshagga et al., 2011). Unregistered TCM practitioners for legal action.